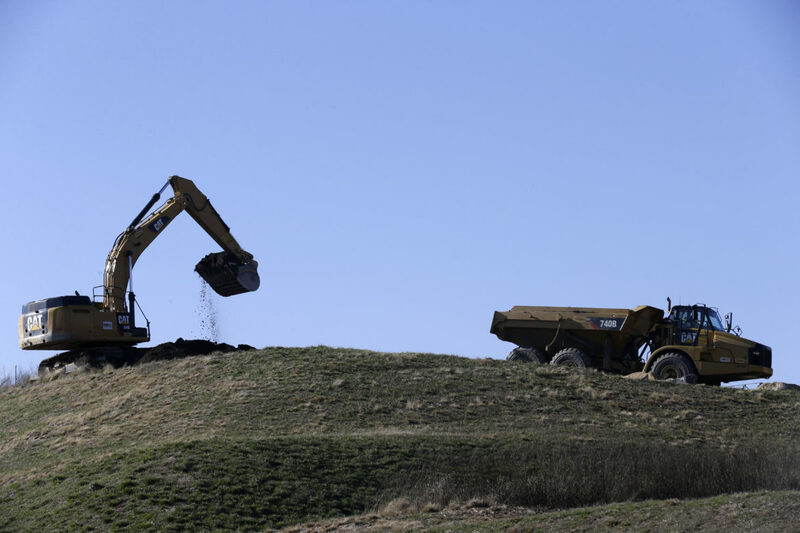 The bipartisan agreement unveiled Thursday requires Dominion Energy to dig up its ash dumps, recycle at least a quarter of the ash, and store the rest in dry, lined landfills — the solution for the toxic waste long sought by environmental and public health experts. The announcement comes just a week before the anniversary of the 2014 Dan River spill, when a Duke Energy coal ash pond in Eden, North Carolina, failed, sending 39,000 tons of ash into the river as it flowed north to Virginia. The bill, which impacts ash dumps along rivers that flow into the Chesapeake Bay, still needs to pass the Virginia Legislature. But it has backing from Northam, a Democrat; House of Delegates Speaker Kirk Cox, a Republican; and even Dominion itself, which until yesterday had fought against excavation as unworkable and expensive. If the measure becomes law, Virginia will join South Carolina in requiring the excavation of all major coal ash dumps, according to the Southern Environmental Law Center, leaving North Carolina last in the three-state region to comprehensively address coal ash. Elected in 2016 after four terms as attorney general, Cooper, a Democrat, campaigned in part pledging to clean up coal ash. But before he took office, Duke was already legally bound to close all 14 of its sites and excavate eight. What happens to the other six is now up to his administration, which is holding public meetings around the state this month to air potential cleanup plans. As they have in Virginia and across the country, advocates and neighbors of coal ash ponds have pushed for the six sites to be excavated, while Duke has proposed leaving some or all of its ash in the ground, a technique known as “cap in place” that some scientists say won’t prevent groundwater contamination. Citizens have turned out by the hundreds at the meetings to support excavation, according to news reports. Combined with the latest announcement from Virginia, advocates say that should put the squeeze on the Cooper administration. “In South Carolina, all unlined utility-owned coal ash lagoons — including Duke Energy’s — are being excavated. Now, in Virginia, the governor and the legislature have agreed that all of Dominion’s unlined lagoons will be cleaned up,” said Frank Holleman, senior attorney for the Southern Environmental Law Center, in a prepared statement.